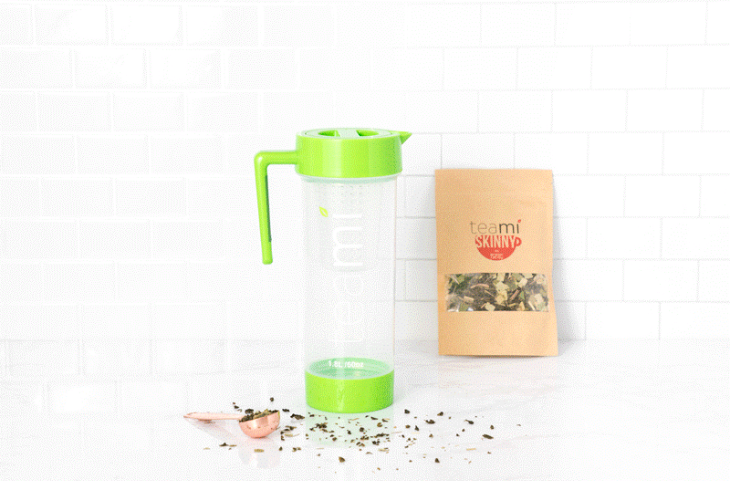 The perfect way to make big batches of tea or detox waters! 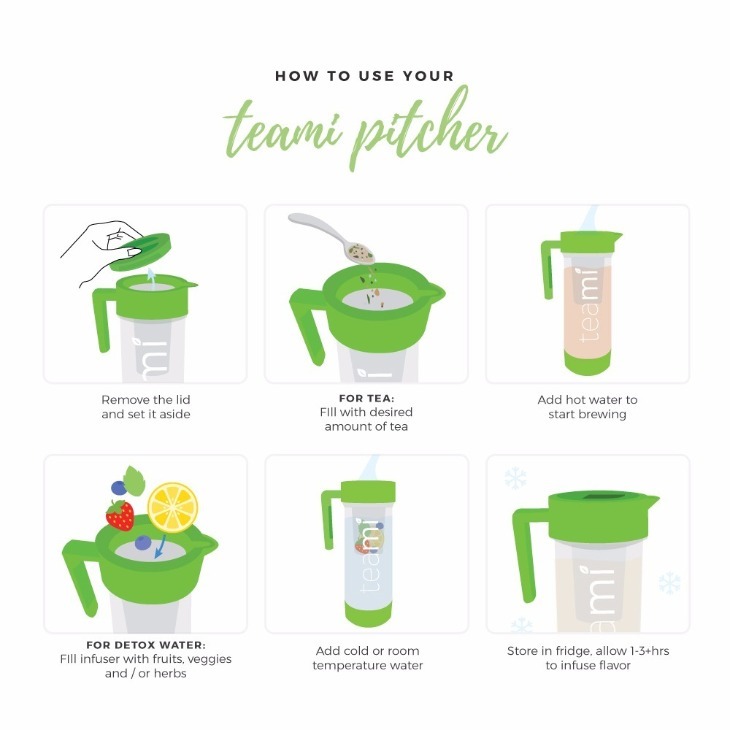 Now that you know all about the amazing features of this brand new product, you're probably dreaming of all the amazing beverages you can make in it! 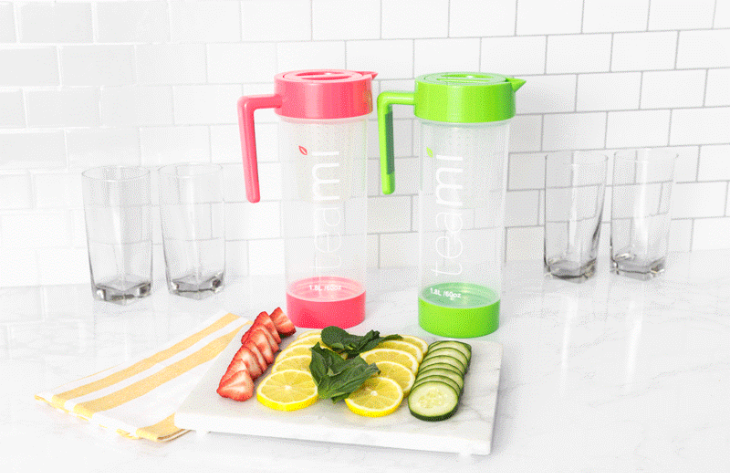 We're showing you how to make your detox waters and favorite blends at home- so you can totally customize and make them your own creations! Drinking water is so so important to our overall health, so having a yummy fruit infused batch on hand will make it so much easier to hydrate daily! Plus, fruits are bursting with so many vitamins and antioxidants- so drink as much as you want! Put your pitcher in the fridge to cool and enjoy all week long!! Make any of your favorite blends, including your detox, in batches so it's iced and already made for you to take on the go! 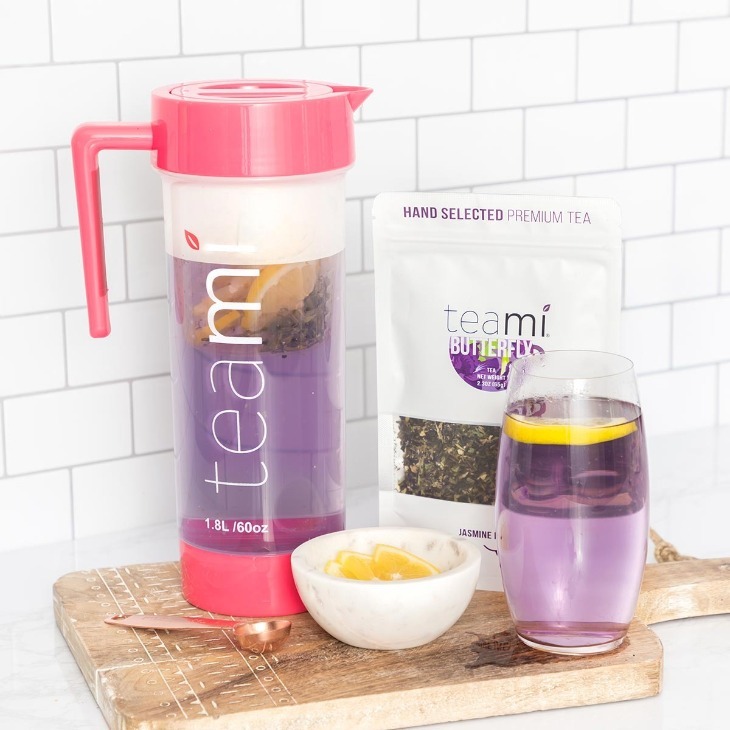 Goodbye rushed mornings and hello to a week of pre-made Teami Skinny! Add lemon to watch your blue butterfly tea turn into a gorgeous purple galaxy color! This is the perfect blend to bring poolside for a fun, colorful drink for you and the girls to keep you hydrated and healthy all summer long!